We live in a world where we are accustomed to being connected to the Internet at all times. It’s almost impossible to go out without wanting to have Internet. Between email, social networks, settling arguments, and chatting with friends, we all feel like the Internet is not optional at this point. I am not here to debate whether being connected at all times is a good or bad thing for society as a whole. Instead, I am going to show you exactly what you need to be connected at all times, whether you are home or on the road. The fact is, it’s becoming cheaper and easier to stay connected anywhere, and I am here to guide you on your journey towards having Internet anywhere you go. If it is available in your area, you are going to want to grab all of these devices with 4G capability. The substantial improvement to data speed is noticeable and if you are planning on doing any heavy data lifting while on the go, you will most certainly appreciate having the additional speed. This might seem obvious, but a smartphone truly is one of the best ways to stay connected to the Internet anywhere. Nearly every smartphone features a web browser and an app store that can keep you connected as you venture around the world. Some smartphones even come with the ability to be used overseas, so you can be connected to the Internet even if you are traveling. Whether you choose Android, iPhone, Blackberry, or any other operating system out there, a smartphone is an essential part of having Internet everywhere. 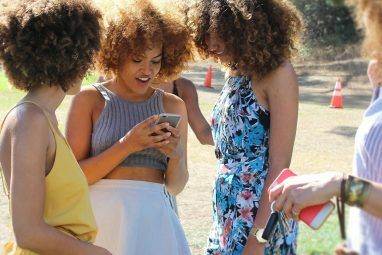 While a smartphone itself can help you stay connected, you can actually take a step further with the rise of tethering to share your smartphone’s connection with another device. There was a time when tethering was prohibitively expensive, but now, many mobile carriers offer the ability to tether right in the default data plan. If you have a jailbroken iPhone, programs like MyWi MyWi: The Best Way To Tether With An iOS Device [iOS, Cydia] MyWi: The Best Way To Tether With An iOS Device [iOS, Cydia] Many cell phone carriers offer the ability to tether, but some don't, and many of the ones that do charge insane amounts per month. 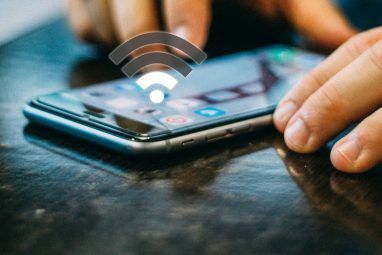 Sharing your Internet connection with another device is incredibly useful and... Read More can get you tethering without a data plan, but of course, this could upset your mobile carrier, so be careful if you elect to go this route. There are similar programs on Android as well. Whether you do it through your carrier, or you take matters into your own hands, tethering is a great way to bring the Internet anywhere you go. If you don’t want to use your smartphone to get Internet, you can always pick up a Mobile Hotspot device. In the US, there are actually companies offering a limited amount of data without any monthly cost. Both NetZero and FreedomPop offer a small amount of data free, and incredibly cheap plans if you need more data. Personally, I have a FreedomPop USB stick, and I cannot complain; 500MB of free data is just enough to handle basic tasks on the go when I need it. Of course, the major carriers also offer hotspot devices, both with and without long-term contracts. You won’t be getting data free from a major carrier, but the service will be reliable, and you can often get the actual devices without cost if you sign a contract. Whatever way you decide to go, mobile broadband is an awesome way to take the Internet as you hit the street. Sometimes, cellular data just doesn’t do the job. As long as you followed the very first step and grabbed a smartphone, you can always find Wi-Fi, so you will be able to get some Internet even if cellular data is not available. There are apps that can handle this on iOS Wi-Fi Finder Helps You Find Wi-Fi Hotspots Anywhere In The World [iOS] Wi-Fi Finder Helps You Find Wi-Fi Hotspots Anywhere In The World [iOS] Is your cellular data at a premium? Unless you are grandfathered into an unlimited plan with your carrier, the chances are that your mobile data runs out rather quickly. The best solution to the problem... Read More and Android [No longer available], so if all else fails, you can always find Wi-Fi in your area. If you are going to be connected all the time, you are going to need to keep all those electronic goodies fully charged. You will need to have car chargers, wall chargers, backup batteries, and if you really want to go all out, you might want to a grab a backpack with a battery to keep everything juiced up as you travel around. Being connected does you no good if your devices are dead! With these items in place, you should be able to connect to the Internet anywhere you go. Whether you want to connect your tablet, smartphone, or laptop, you will be able to with no problem. Of course, you may have to drop a few dollars to get everything you need, but once you do, you will be ready to travel the world with the Internet always close at hand. 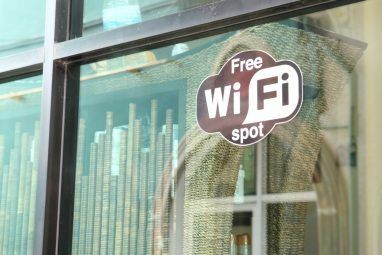 Explore more about: Internet Connection Sharing, Wi-Fi Hotspot, Wi-Fi Tethering. Hello Abby Ou, Here are also a good information for WiFi hacking . I checked in now. It can help you: "http://www.trickstable.com/?p=1204"
Here is a video also: "https://youtu.be/ShgEyAIBzAI"
If you went to the Amazon how would you access the Internet!? Well, you wouldnt. Believe me. I tried. Sadly, it didn't work.? Getting connected to the internet everywhere you go seems excessive, sometimes for example, you're online too often and eventually you'll get bored and be uninterested. Probably depends on what you're doing on line, but it's a major time killer that's for sure. To want internet everywhere, the chances are very high that the person will have internet somewhere....and therefore has the necessary equipment, and does not need most of what this "How To" goes on about. What is needed is How To access internet where/when "You" don't have an internet account and there is no free WIFI/Starbucks...and especially when you are travelling outside your own country (which some people do! )...take a trip around the world, fully loaded with all the hardware mentioned above and then tell me how often you are able to be connected (and no cheating with a Blackberry account paid by your employer). You did say anywhere, right? Anywhere in a city, maybe. How about an article to explain about satellite, etc.accesses. I loved the article! It really is a COMPLETE Guide to always being connected & what you need to do so. Thanks! I'm trying to get a small public library internet access, but the 3G service is pretty low... I've tethered my phone to access internet but was considering getting them a WiFi hotspot... would it work in a poor service area? My phone can hotspot my tablet. Doesn't work so well riding the back roads in the mountains of North Georgia where phone reception drops to zero bars. For the amount of time some people spend on the 'Net and on their phone, they should just get a WiFi device implanted. Guaranteed 24/7/365 Anywhere in the world connectivity. 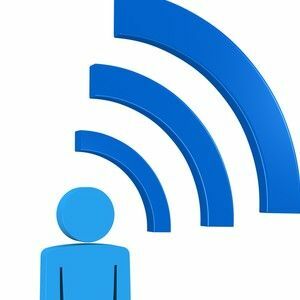 How do you get a wifi device implanted? Can it be done on the kindle fire hd? If the WiFi is implanted underneath the skin somewhere, or maybe in the head, one won't have to worry. Maybe I've had extraordinary luck. As soon as I leave the States, I have zero problems getting wireless--everywhere. Honduras, Fiji, Costa Rica, Panama, Mexico, Cook Islands--and it's always free. America is the only place that charges for anything and everything for a connection because companies know how obsessed and addicted the customers are. Not strictly true, although it would take some work to get it done. Use Internet sharing -- I know it's easy with Windows and GNU/Linux, should be easy as well with Mac OS.